Enjoy this salad as a quick and on-the-go lunch! 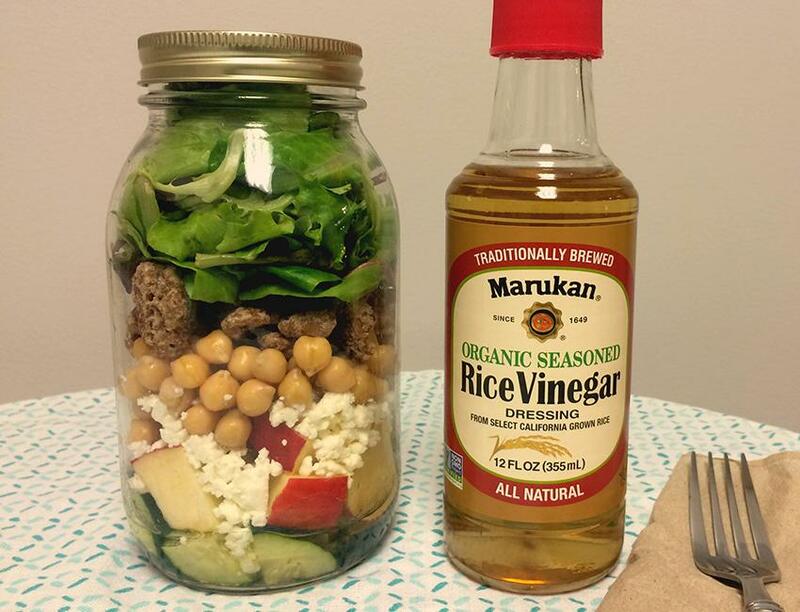 Start by adding Marukan Organic Seasoned Rice Vinegar Dressing and olive oil into the jar. Then layer the remaining ingredients in order of wet to dry, this will help avoid the salad from becoming soggy. Cucumber, apple, feta cheese, chick peas, candied pecans and mixed greens. Feel free to adjust ingredient amounts to your taste and preference. Seal the jar and store in the fridge for up to 3-4 days. When ready to eat, shake the jar to evenly distribute the dressing then pour all ingredients onto a plate or bowl.